An insurance company with the exact name of Eastern Health Insurance Company was not found through research; however, a nearly exact match was located. Originally, the Eastern Life And Health Insurance Company was known as the Educators Mutual Life Insurance Company, which was created in 1910. 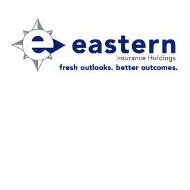 The Eastern Life And Health Insurance Company became a part of Eastern Insurance Holdings in 2006. Get instant access to health insurance rates by entering your zip code! Soon after Eastern Insurance Holdings acquired Educators Mutual Life Insurance Company, the name was changed to Security Life Insurance Company of America. While individual consumers are still able to purchase health insurance products from Security Life Insurance Company of America, the focus seems to be more on small business owners and large employers. Security Life Insurance Company of America products can also be purchased through independent insurance brokers. Security Life Insurance Company of America offers a range of comprehensive dental insurance products. Because most insurance companies only allow their policyholders to see in-network health care providers, the PrimeStar Dental and Vision package offered by Security Life Insurance Company of America gives consumers much more flexibility. There are also variations of this insurance product that are designed toward senior citizens, families and those with low incomes. Disability insurance and life insurance is also available from Security Life Insurance Company of America. There are group insurance packages as well as several custom options offered in conjunction with the standard products; however, nationwide coverage is not available. Unlike the PrimeStar Dental and Vision package, which is offered in all 50 states, Security Life Insurance Company of America’s supplementary disability and life insurance products are only available in 26 states. Consumers will need to visit the official website in order to determine if they can get coverage. Security Life Insurance Company of America has an online insurance quote system that allows consumers to lock in rates for a minimum of 12 months as well as purchase their policies online. Instead of filling out a lengthy online form, consumers must first input an agent authorization number. This allows Security Life Insurance Company of America to instantly associate its new customers with the specific insurance agents that will handle their accounts. Unless a customer has spoken to an agent over the phone or in person, he or she will not be able to get a quote. The online quote system is reserved for individuals and employers that want to purchase dental plans. Consumers that want to purchase life insurance and disability insurance products do not need to get online quotes. Instead, they can navigate to the online brochure area of the website and select the state that they reside in. Security Life insurance Company of America has detailed information on life and disability insurance rates in this section. Security Life Insurance Company of America can also be reached by phone at 800-328-4667. While the company has not indicated any hours of operation, it is assumed that they can be called between 9AM and 5PM CST. The Security Life Insurance Company of America email address is [email protected]. The official website for Security Life Insurance Company of America also brochures and downloadable access forms available for consumers. Based on the information available on the official Security Life Insurance Company of America’s website, there are only positions available at the company’s headquarters in Minnesota. Currently, less than five open positions are available. There is no information given detailing the benefit packages or retirement plans available through Security Life Insurance Company of America. Interested parties are instructed to get in contact with the human resources department at Security Life Insurance Company of America through email, fax, or standard mail. In order to become an insurance agent with Security Life Insurance Company of America, the broker or agent must already be licensed. An application packet, which includes information on past employment, must be filled out in its entirety. Security Life Insurance Company of America considers all applicants, however, they must consent to a background check before they can be accepted or permitted to sell insurance products in participating states. Enter your zip code to get health insurance quotes from providers in your area!